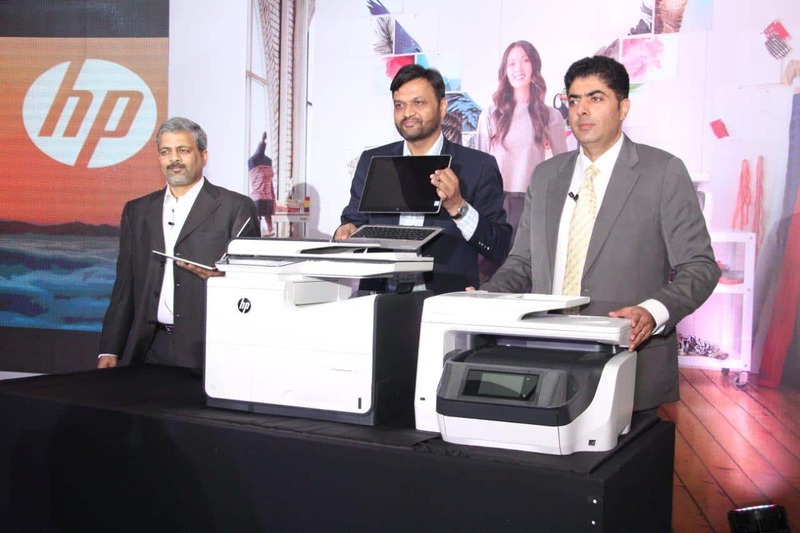 HP Inc. India Launched Business Printing with New Portfolio. With a focus on small businesses and work groups, HP Inc. launched its new portfolio of business printers. The new series named as PageWide will help deliver small businesses the best in class cost of ownership, faster speed, best energy efficiency and world most advanced security and management features. It has also strengthened its OfficeJet Pro series with the launch of OfficeJet Pro 8000 series that has 50 per cent lesser cost of printing as compared to lasers. HP PageWide Technology is a proven, reliable scalable print technology developed by HP that has delivered more than 140 billion high quality digital pages via HP printers including large format printers and web presses. In addition to the new lineup of A4 devices, HP will expand the reach of PageWide Technology to redefine the copier market with a new portfolio of A3 multifunction printers (MFPs). The new product portfolio will be available through channel partners and at select retail stores. In addition, the new portfolio increases the number of managed devices designed for contractual channel partners and managed print services engagements. These contractual HP PageWide printers enable HP channel partners to provide low cost of operation with HP’s highest capacity supplies, a three-year print head warranty, higher speeds and recommended monthly print volume (RMPV) on select models, as well as integration with HP JetAdvantage Management and third-party tools. By optimizing managed HP PageWide devices for contractual agreements, HP provides channel partners with new opportunities to deliver higher customer satisfaction. The expanded printer also includes new HP OfficeJet Pro and HP LaserJet printers, rounding out the options available to customers. The HP OfficeJet Pro 8000 series features HP Print Forward Design to provide customers productivity with high speeds in a space-saving design that helps preserve office real estate. These new printers also include enhanced manageability and security features as well as seamless mobile printing. To prevent unauthorized access to confidential print jobs and reduce waste from misprinted jobs, SMB users can turn on the new HP JetAdvantage Private Print on-demand and at no charge. Each print job is securely stored in the cloud until the user authenticates and claims the job from the printer. The JetAdvantage Private Print also features support for HP Common Card Reader for fast authentication. The HP LaserJet family provides customers with print shop document quality, fast speed and the best value on black-and-white printing. The new LaserJet products include Original Toner cartridges with JetIntelligence technology enabling the industry’s most advanced laser printing platform that offer leaner, faster, smarter options to help customers accelerate their business. The company has also introduced HP Secure Managed Print Services (MPS), a new Managed Print Services (MPS) offering focused on security. This enhanced service reflects HP’s defense-in-depth approach to delivering the most comprehensive device, data and document security available today. The Secure MPS provides security experts with the ability to help customers secure their print environment with the strongest protections available in the industry and then maintain security over time to address evolving threats and compliance requirements.